Fiat has added five new 1970s inspired colours to the 500 range, designed to capture the imaginations of style conscious buyers who want a ‘retro-chic’ city car. The new colours are vibrant Pasodoble Red and Countrypolitan Yellow, and the pastel Volare Blue, New Age Cream and Tech House Grey. Complementing the new colours are some contrasting design details, including white wheel covers, white mirror covers and a ‘pool ball’ gear lever. Fashion lovers will be happy to know the new colours have been given the seal of approval by celebrity, beauty and fashion photographer Elisabeth Hoff, who took the photographs seen here, with their 1970s palette. 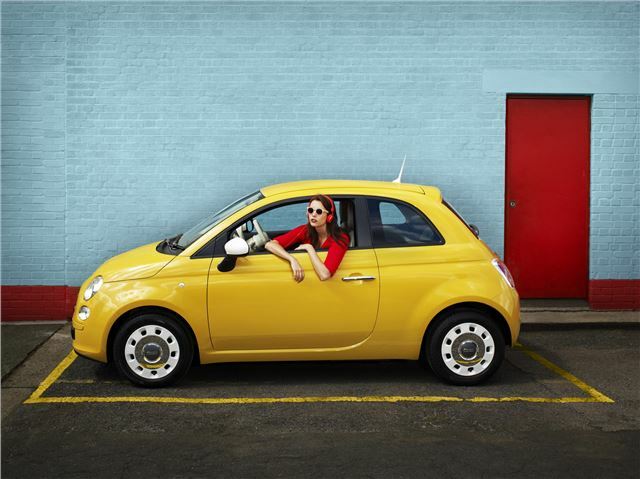 The 70s inspired Fiat 500 Colour Therapy range hits showrooms in late August, priced from £10,760. The move to provide all compelling 1970s colors to the present 500 lineup from the Fiat Motors is expected to draw more and more consumers towards it, and thereby increase its sales figures.